Nearly 56,060 in population, large businesses are taking notice of Woodland. Woodland is situated in the heart of the Sacramento Valley. We are ten minutes from the Sacramento International Airport, twenty-five minutes from the State Capitol, close to the grandeur of the Sierra Nevada Mountains to our East and the beautiful Bay Area and the Pacific Ocean on the West. In the winter of 1853, Henry Wyckoff settled in a dense grove of oak trees and opened a small store; soon other businesses followed suit, including a store owned by Major F. S. Freeman. He offered free lots to those who would clear the land and build homes, and before long the settlement of Yolo City blossomed along the current-day Main Street area. In 1861, Freeman gained permission to build a federal post office, and Yolo City was renamed Woodland; in 1862, the Yolo County seat transferred to Woodland from present-day West Sacramento. With the community`s rich heritage still evident today in its restored historically-significant buildings and homes, nine of which are included in the National Register of Historic Places, Woodland`s pastoral setting is largely responsible for the community`s distinct identity. Various transportation routes, as important today as the railroads of the 1800s, create a wealth of opportunities for manufacturing and distribution centers. Woodland`s attraction is its small town quality of life. We frequently hear “Honestly, your city is quite unique with its historic charm and above all the welcome I`ve received from everyone, especially the shops downtown.” Many a visitor soon find themselves looking for a home. Home prices in Woodland are attractive relative to California real estate standards, with available housing ranges from newly built homes to the Victorian treasures in the downtown core area. According to the Metro List MLS Service, the median sale price for Woodland residential for the 2007 year is $369,450; average days on market is 92. The City of Woodland and Yolo County are continuing to work together to meet the increasing demand for residential housing growth and affordable housing with the population of Woodland expected to reach 71,250 by the year 2025. Having its roots in agriculture since the 1850s, Yolo County remains a leader in agricultural production; ranking in America`s Top 25 markets for total commodity production, yielding $462,132,949 in 2009. Preserving the agricultural land base and rural quality of life is very important to Woodlanders, old and new alike – as the region claims one of the state`s highest percentages of prime farming land protected by the Williamson Act. The eastern region of Yolo County covers a land area of 1,014 square miles in the Sacramento Valley, with relatively level terrain gradually rising through the foothills from the Sacramento River to the Coast Range at Berryessa Peak on the western border of Napa County. With its rich, fertile soil, abundant water supply and temperate climate, it`s no wonder that the region has attracted many biotechnology companies, seed firms and production facilities, as well as large and small food processors. UC Davis` world-renowned agriculture and biotech programs have spawned ongoing technology research and development efforts that offer farmers cutting-edge, yet cost-effective methods for managing their crops. Pioneering projects in irrigation were started on Cache Creek as early as 1865, and over time the emphasis began shifting from livestock to grains and orchard crops. Large scale diversified farming was introduced as new lands were brought into production and as shipment of local products to domestic and international markets increased. Over the past 20 years, Yolo County has seen a growth in its` organic industry, however, they have not seen an increase in the number of growers. There are over 83 growers in the area, which saw gross sales of $22,824,388 in 2009. The Yolo County Ag department feels that Yolo County is uniquely positioned adjacent to the huge Bay Area organic market as well as Sacramento. The department is on the verge of becoming an organic certified agency, which offers growers an attractive option in a very competitive global agricultural market. This fits well with the Yolo County values of preserving agriculture, providing agriculture with an economically viable alternative, optimizing the health of its citizens and the environment by encouraging sustainable agriculture, reducing pesticide use, improving water quality, and assuring consumers they have certified organic products. The Woodland Certified Farmer`s Market is open every Saturday morning beginning the first weekend in June from 9am-noon at Freeman Park, between Main And Court St. And every Tuesday evening from 5pm-7pm at Woodland Healthcare, Gibson Rd. and Cottonwood St. It is in hard financial times that communities join together to merge their strengths and determine the priorities of the community. Woodland is not unique. In response to this, the City of Woodland is undergoing an organization transition and through this process the City’s focal point is Economic Development. The City of Woodland continues to expand its economic development program. Over the next year, the City will be implementing a Business Retention and Expansion Program, where City staff and Chamber of Commerce staff will visit with existing businesses, assessing their conditions, needs and developing stronger relations. This is probably the most critical component of economic development. The City continues to work with new businesses to our community-from large relocations and expansion to entrepreneurial start ups. Staff continues to work with property owners, brokers and developers to find the “right” location for a business in our growing community. Several resources exist for businesses seeking to expand or relocate to the woodland area. A perfect place to start is the City of Woodland interactive business search website, found by browsing the Internet to www.woodlandbiz.org . You can use the online tools to research available industrial and commercial/retail properties. The website also provides a wealth of information on demographics, other businesses and the general community. If you are an entrepreneur, new to business and are unsure about tax filing requirements or you have been in business for years and considering changing the structure of your business, please visit the city’s business assistance link: Tools for Business Success. 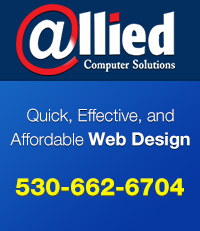 This site will offer much assistance to any business in Woodland. The Small Business Development Center, housed at the Chamber of Commerce, offers counseling and marketing, financing and all other aspects of business growth for startups to refinement of established firms. The Chamber offers a “community team approach” to problem solving, and is a vital link between business and government. As part of the city’s economic development effort, the city has many partners to carry out the mission of promoting economic growth and prosperity in Woodland. The recently established Yolo Venture Communities fund is a partnership within Yolo County jurisdictions providing a dedicated venue for Angel capital funds in our region. The City continues to be a partner of the Yolo County Visitors Bureau, marketing Woodland and the neighboring communities and our assets as a destination location.